Fast rising star Bella Padilla. Just a trivia, Bella Padilla is a former Star Magic talent with a name Krista Valle. Cristine Reyes in her simplest form. Coffee anyone? Catch Cristine Reyes in her new soap "Reputasyon" over Kapamilya network. La Greta is on the cover of Metro Magazine August 2011 issue. Though hated by many, Gretchen Baretto doesn't look like she aged at all. If you'll look at her photos 10 years ago, she still looks the same. I wonder what her secrets are. Photos of Angel Locsin in the recent Kapamilya Tour in Europe. Anne Curtis on Blush Magazine June-July 2011 Issue. 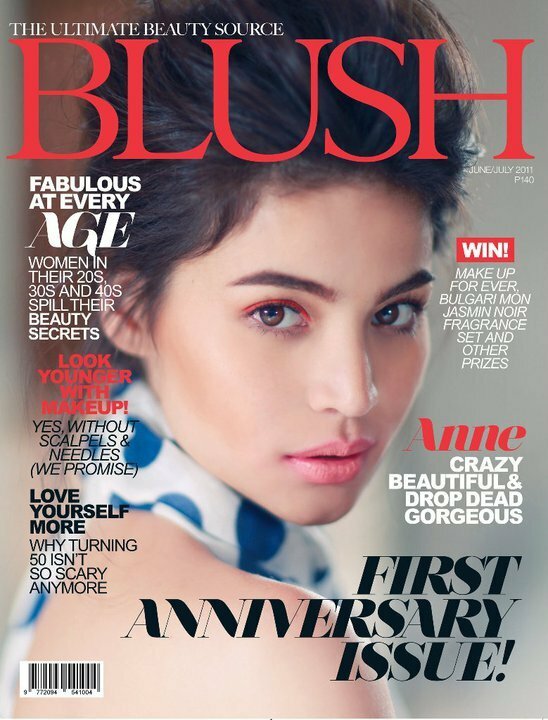 Showtime host Anne Curtis is once again on the cover of a another local magazine, this time Blush - The Ultimate Beauty Source. Looking at Anne Curtis photos, you can easily say that they are not photoshopped. Her mole in her chest area is there, color looks natural etc. I just don't know if her facial skin is natural though as it is the most common receiver of brush tool. I love going to the beach especially if the beach is as good as Boracay. And what more if going to Boracay will give you Regine Angeles with Wendy Valdez. I'm sure, that's more than heaven. 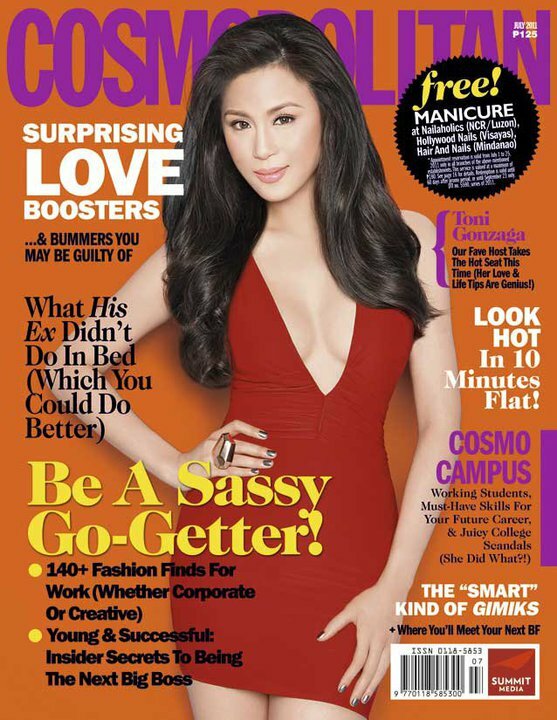 Toni Gonzaga on the cover of Cosmopolitan Magazine July 2011 issue. If you'll remember, equally hot sister Alex Gonzaga was on the cover of Meg Magazine July 2011 issue. Magazine cover rivalry between sisters eh. Who get's our vote? I'd go for Toni Gonzaga any time of the day. I think Alex Gonzaga needs more time to fully develop, if you know what I mean. Erich Gonzales is the newest Maria La Del Barrio. Another soap to watch out for from the Kapamilya network. Erich Gonzales is teamed up with Enchong Dee.